When it comes to buying fresh seafood, you’d think of walking into the wet market early in the morning to get it fresh from source. 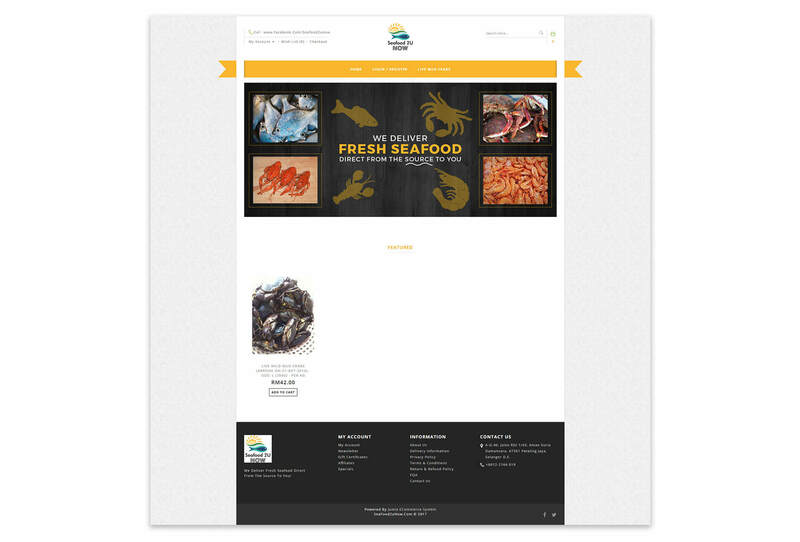 Well, this is no longer the case now as you can now get fresh seafood deliver to your home by just ordering it online! Made possible by Jumix Design eCommerce Solution. This project is an urgent and needs to be completed in just 3 days. We took up the challenge and turn it into an opportunity. We deliver the complete functional website in just 2 days. The client was very satisfy with the job and gives us the credit for helping them to magically complete the project in time.